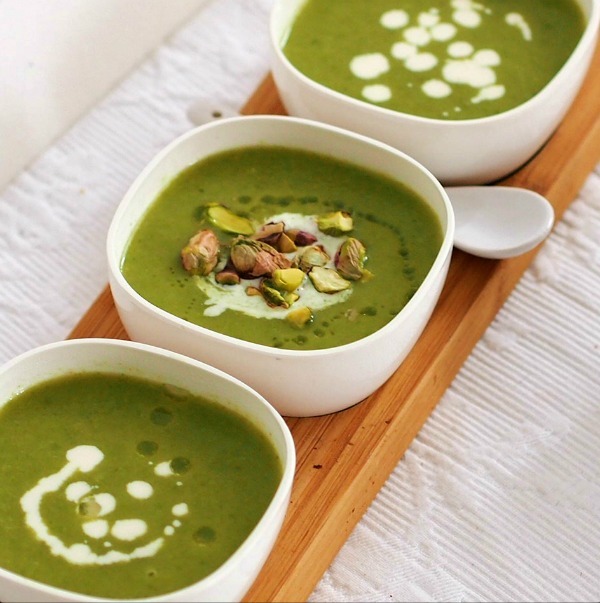 Green is the colour for this week's French Friday with Dorie post, my first since January! ....and this is as much as I can say about today's "recipe" because I was not able to find pistachio oil to drizzle all over my not-so-ripe avocado!! I found almond oil, walnut oil even hazelnut oil in a new boutique grocery store that opened in Zagreb while I was away (it is called The Pantry Deli Zagreb and it has all sorts of fancy goodies from France, Spain and the UK and I just know that I will be spending a lot of ... money hm, hm, time there) but it didn't feel right to go astray on this one. It is not a recipe where you can replace a scallion with an onion and expect no change in the overall taste. It is a suggestion, something you have to experience as given in order to be able to access it, no substitutions are allowed. So I gave up and moved on. I later found out that you can make pistachio oil at home and I will give it a try, believe me, not only because my palette is quite intrigued to experience this perfect combination but also because by that time the avocado I bought yesterday will be perfectly ripe - I swear to God it takes about 2 weeks to get these things ripe enough to be able to use them!!! You can check out what my dear friends and fellow Doristas had to say about their Pistachio Oil - Avocado pairing experience here. Now on to a recipe which I have actually tried. 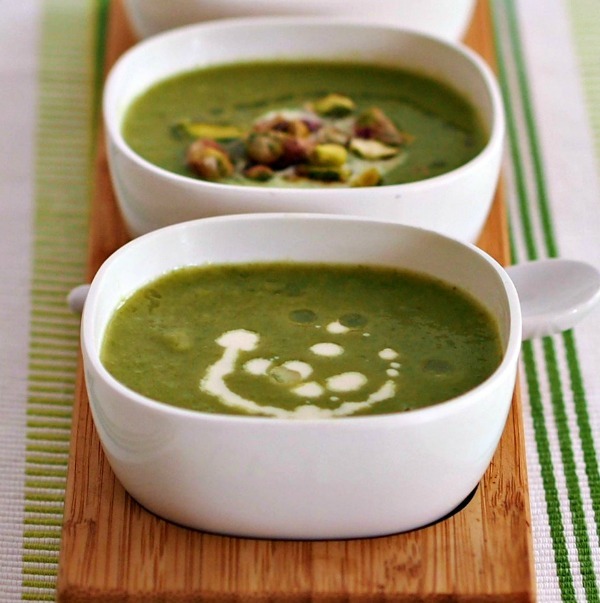 The Green Asparagus Soup. Would it sound silly if I say that this was the best Spring comfort food ever? I mean do we even need comfort food in spring? Everything is blooming and coming back to life, the juices are flowing again and the bees are buzzing romantically and the sun is shinning. Only it is not! Since I came back from Athens, I've seen the sun once or twice . Yesterday was a lovely day, bright and filled with the sweet aromas of freshly picked strawberries (-strawberry jam with a twist is coming your way pretty soon - ). But today, oh today I woke to the sound of rain lashing at our window blinds and a grey miserable morning. Not surprisingly I was in a very fowl mood when I started cooking this soup and for a moment there, it was going to end up like this epic disaster, but you know what? It didn't! Thank you Dorie for the clear and brain-fog proof instructions: blanch, cool, mix in some leeks and onion, boil, blend, easy peasy! The result was delicious and it comforted me all right...First it brought a stop to the protest an unrelenting heartburn was staging in my stomach for the past couple of days. And then it comforted my soul. It reminded me that asparagus are Spring after all. As I was ladling it into the bowls and got ready to photograph them, I felt it! This dish screams Spring; hell it smells like Spring and its almost fluorescent greenness made up for the lack of natural sun light for my photo shoot!! French Fridays with Dorie (FFwD) is an online cooking group where we cook recipes from Dorie Greenspan's cookbook "Around my French Table". We do not publish the recipes on our blogs. You can buy your copy of the book from The Book Depository for free worldwide delivery. For more information about our group and on how to join us click here.